Lorna Sass is my culinary hero and Goddess of the pressure cooker. The pressure cooker being the most underused and magnificent cooking implement ever! Everyone thinks the pressure cooker is an antiquated appliance from the 50s that will blow up at a moments notice and you will be scraping pea soup off the ceiling ... but it simply isn't so. I used to think that, but Lorna taught me otherwise. The really great thing about pressure cookers is that they are really fast and they keep all those nutrients locked in. I used to wait 40 minutes to have a steamed artichokes ... minutes with a pressure cooker. Mashed potatoes, lentil soup, and steamed puddings in minutes. This should be what we call fast food. 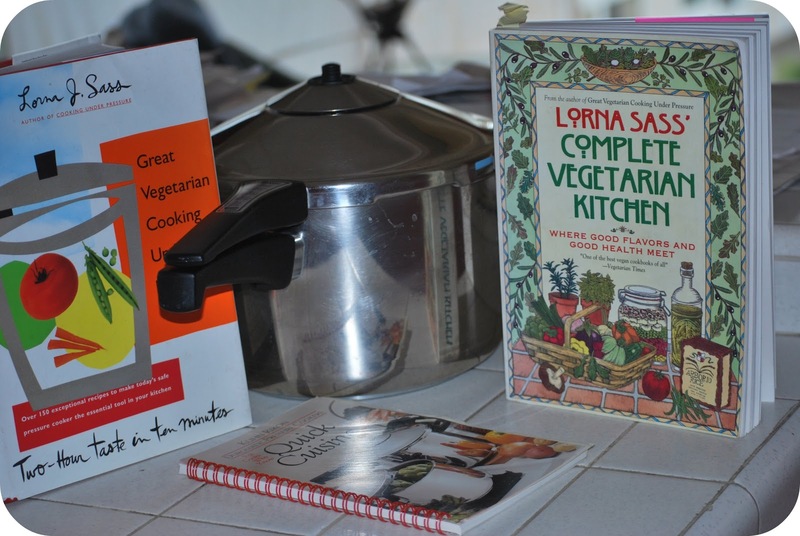 I just googled her and found she has her own site, check it out at LornaSass.com and get sucked into the world of healthy cooking with pressure cookers.